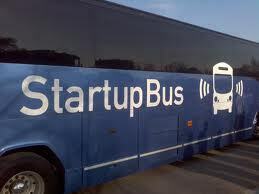 This week the Bplans’ blog, Up and Running, is hosting a series of posts by guest blogger and serial entrepreneur Zachary Price, chronicling his adventures on the 2013 Startup Bus MidWest (one of six buses running this year) as it makes its way from Chicago to South By Southwest (SXSW). The group of coders, developers, and designers gathered together on the bus have roughly 72 hours, while traveling across the country, to conceive, build, and launch a startup. Culminating in live presentations to investors in Austin at SXSW from beginning Mar 11. Zack’s take on the experience of launching a startup with a group of strangers in just a few days’ time is fresh, funny, and inspiring. We hope you enjoy his view from the bus, called, “Live From the Startup Bus.” You can also follow Zack on Twitter or the entire StartupBus Midwest using the hashtag #StartupBusChi.